IndyCar driver Charlie Kimball was diagnosed with type 1 diabetes when he was 22 years old. Not long ago, with no way to reliably measure and regulate his blood sugar on the track, this may have knocked him out of competition altogether. Wearable tech kept him in. The setup is fairly simple: a commercially-available continuous glucose monitor that Kimball wears on his skin. The information is sent to his car’s data electronics system, which is when things start getting really cool. Like most drivers, Kimball has a drink system mounted in his vehicle’s cockpit. His consists of two, 1.5-liter containers filled with water and orange juice, which he can access through a special, 3D-printed valve at any time. When the sensor (or the pit crew, who monitors his levels wirelessly) alerts him, he can refuel himself without missing a beat. Racing drivers and performance junkies often wax about being connected to their cars, but it doesn’t get more connected than this. The system, which Kimball polished alongside his father and engineering team, means his body and car function as a harmonious unit. Kimball, who was accepted to Stanford’s mechanical engineering program before he pursued professional racing, says that he always had an affinity for math and science in his back pocket if a position behind the wheel didn’t pan out. After taking a few laps, though, he realized that racing was something to fight for. 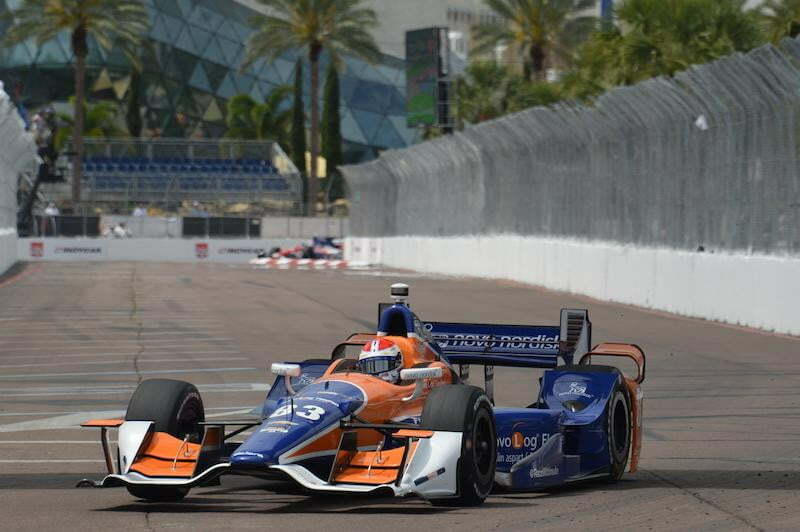 The 2015 IndyCar season just kicked off on March 29 with an event in St. Petersburg. Kimball’s next race comes April 12th at the Indy Grand Prix of Louisiana.